This is the 3rd year now for the annual Boysenberry Festival at Knott's Berry Farm and it has quickly become equal to Christmas as my favorite time of year at the farm. 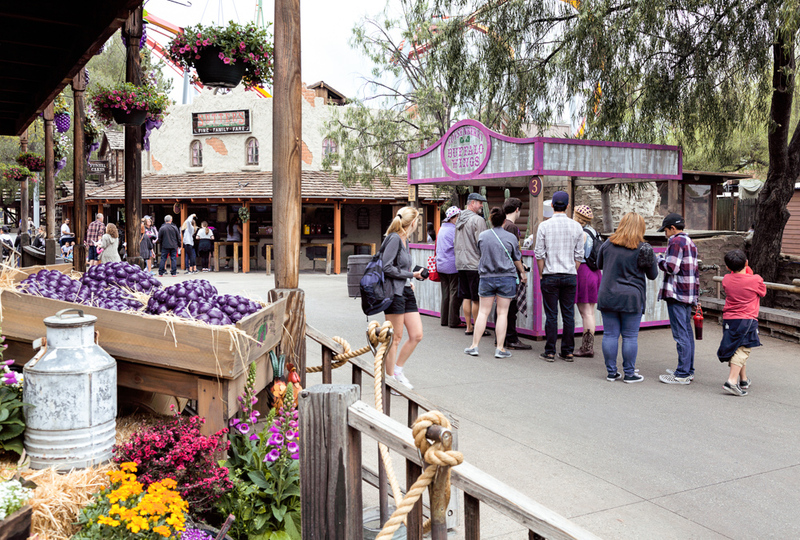 When you put the focus on the boysenberry and offer lots of special food options based on the boysenberry, you have a winner. 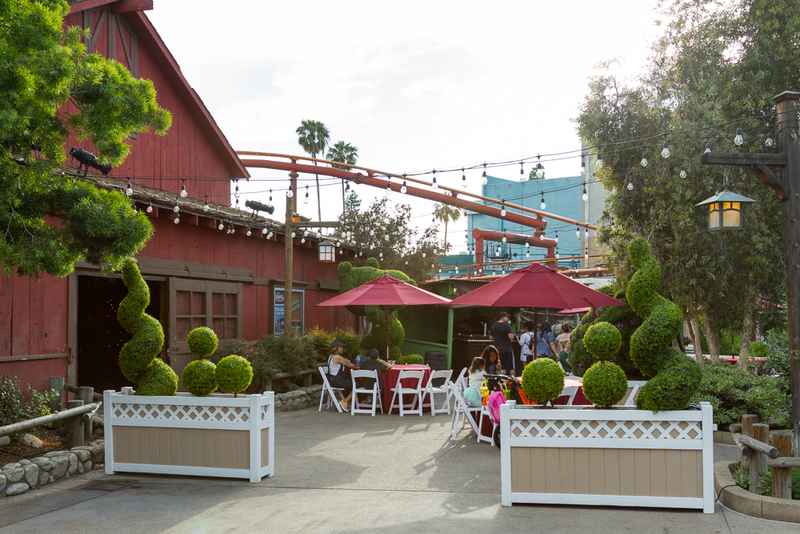 Some of the limited time food items are available from these special stands set up around ghost town. 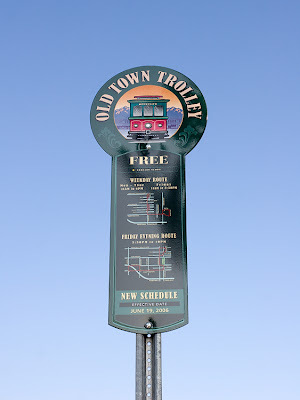 Others are available from the regular permanent food locations. This was one of my favorites. Popular favorite but too messy for too little for me. Not a typical fountain drink. They make each drink when it is ordered. They mix the various ingredients over ice, stir it up and there you go. Tastes great! This is the kind of above and beyond idea I love to see. You also get to keep the cup. Available at Judge Roy Bean. 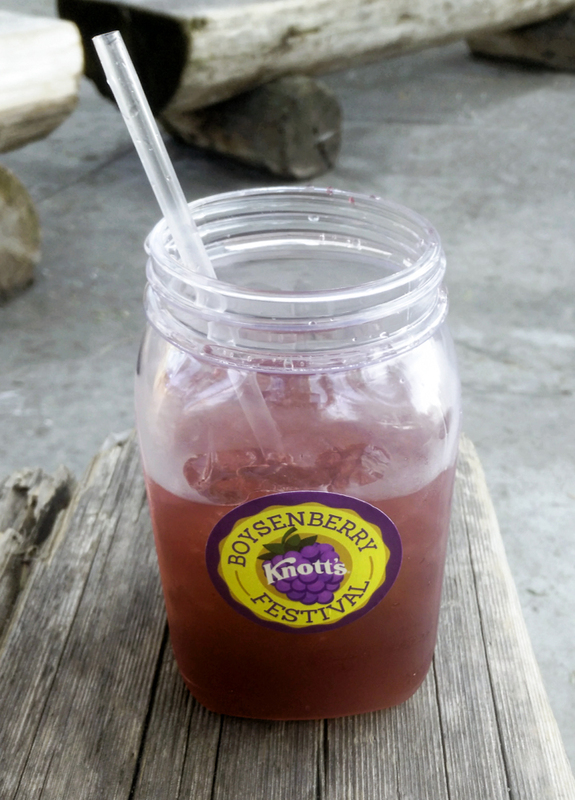 There's more than just soda and boysenberry juice. The Wilderness Dance Hall is set up for boysenberry wine, boysenberry beer and boysenberry cider tasting. 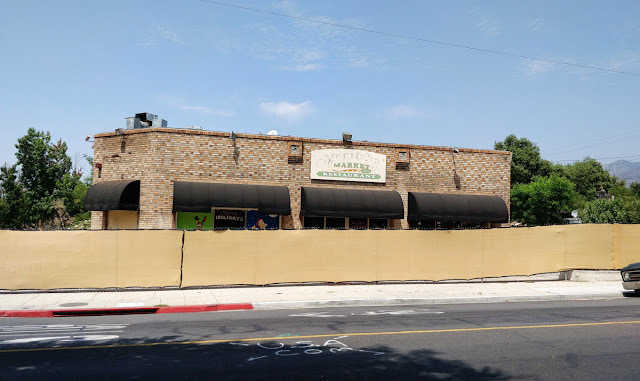 Outdoor seating at the Wilderness Dance Hall. 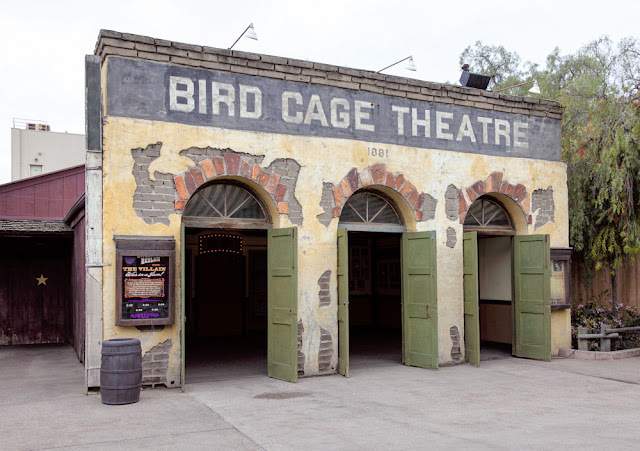 For the first time in over 20 years, and only during the Boysenberry Festival, Knott's has brought back the comedy melodrama to the Bird Cage Theatre. 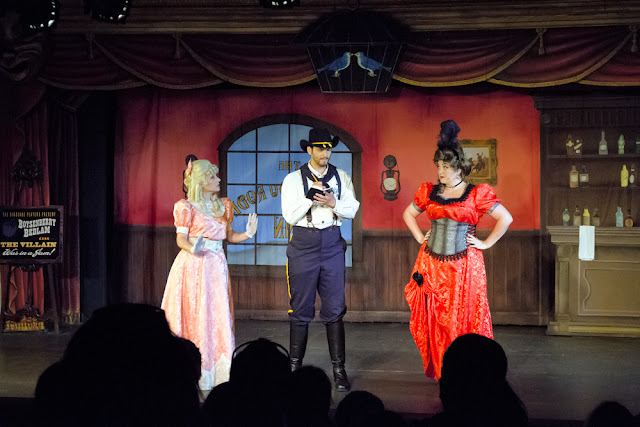 The show is called "Boysenberry Bedlam" or "The Villain Was In A Jam"
Lots of audience participation cheering and booing, even some hubba hubba. 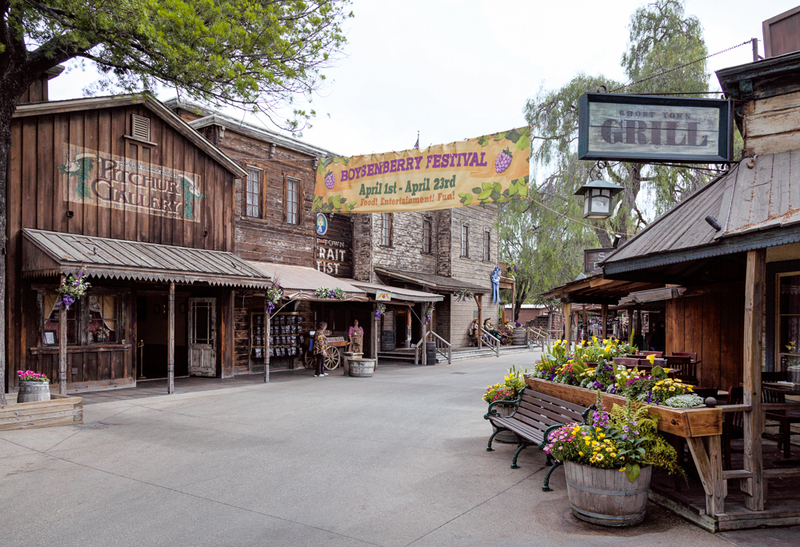 Ghost Town is decked out very nicely for spring and the Boysenberry Festival. 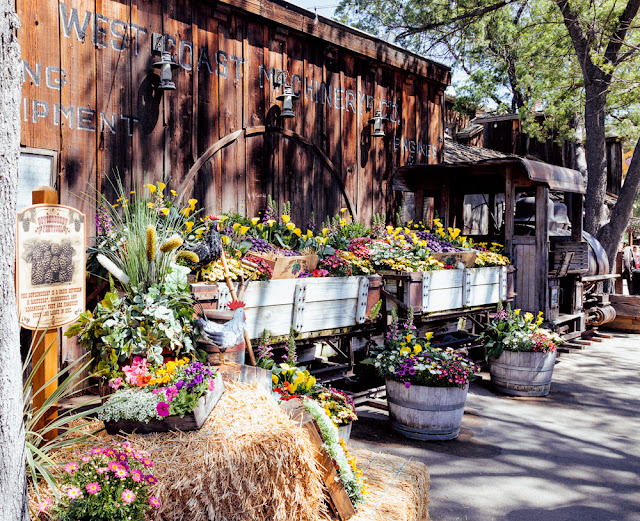 A banner and more flowers in ghost town. 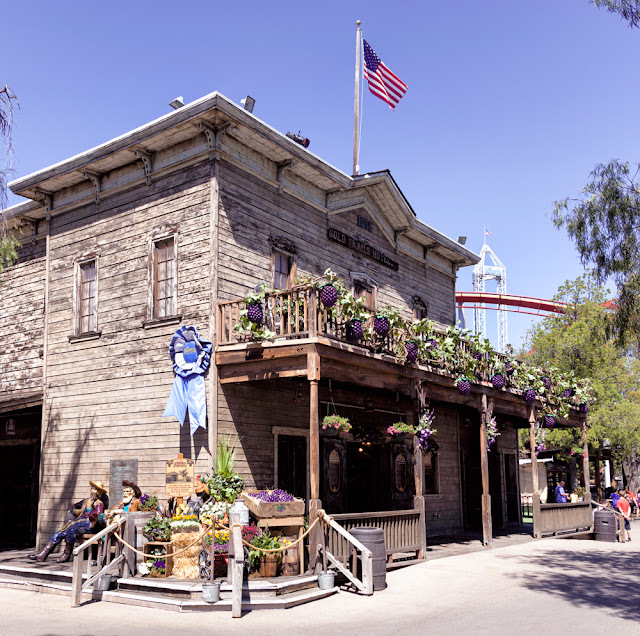 The Gold Trails Hotel with Boysenberry Festival decorations. 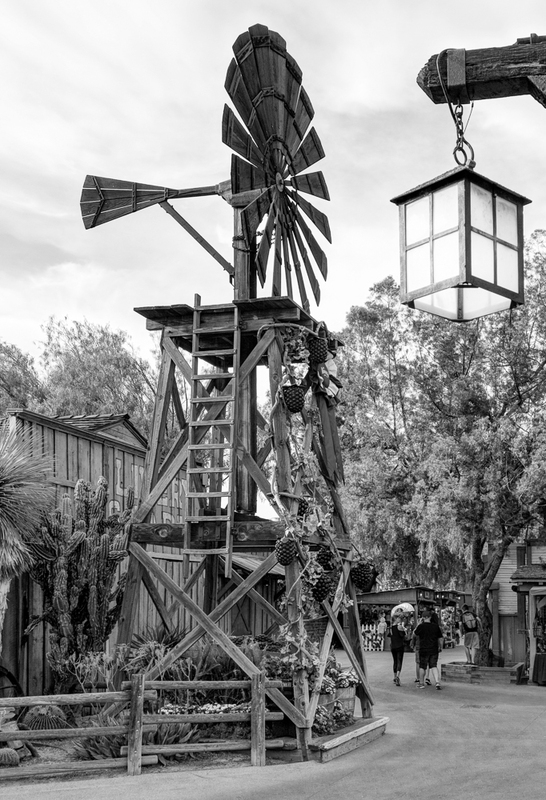 Knott's Windmill and a lantern. Got to get a black and white photo in here somewhere. You can just make out the head of the Catawampus in the very lower left corner. I think he was trying to photobomb me. 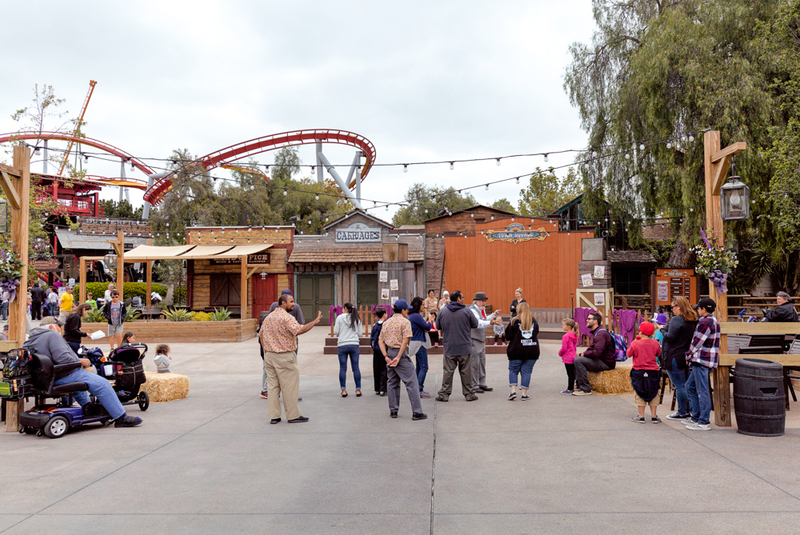 Activities like the chicken dance, pie eating, vine dancing, and a pie walk are held throughout the day in Calico Square. 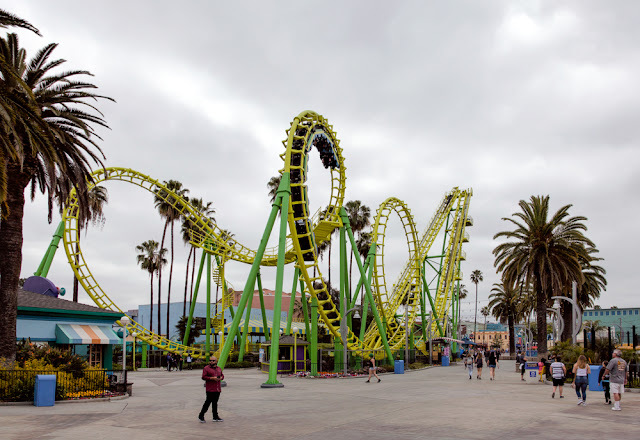 Geared mainly to kids, adults can also participate in some activities. Hosted by Phineas B. Berry in the vest, hat and white shirt above. 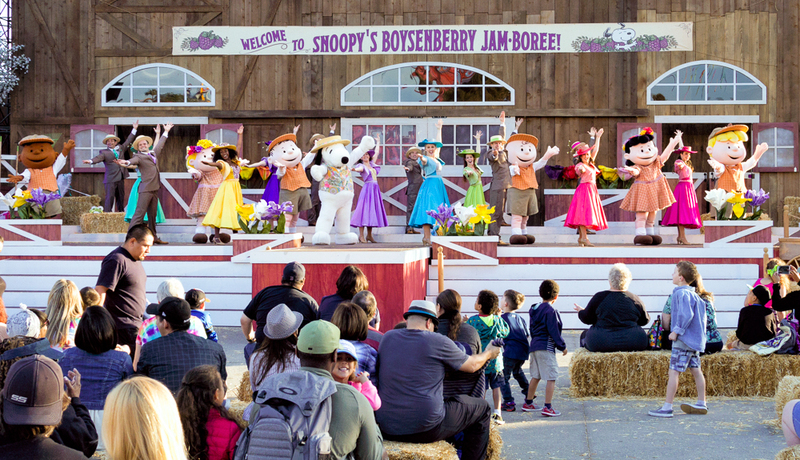 The big family song and dance show, Snoopy's Boysenberry Jamboree, is held at the new Calico Mine Stage. 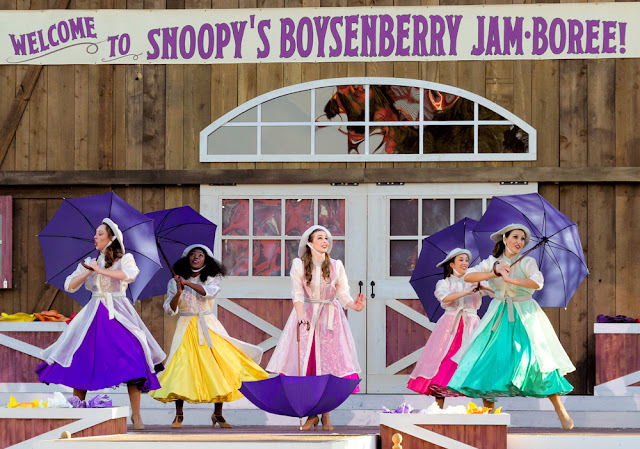 Great show, talented cast, and the kids really do love Snoopy. Artists and craftspeople have booths set up around ghost town to sell their unique items. 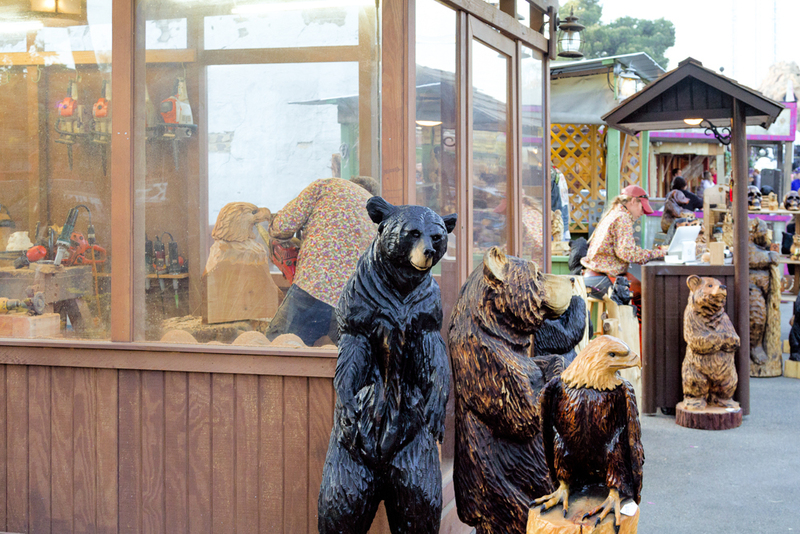 Above is a booth where you can watch, and buy, these statues being carved out of blocks of wood with a chainsaw. I also recommend taking a look at an artist by the name of David Kizziar. He creates pencil drawings that are so realistic, I thought they were photographs at first. He has a booth next to the schoolhouse. The last day to ride the Boomerang rollercoaster is also the last day of the Boysenberry Festival - April 23rd. After that, it will be removed at replaced with ??? 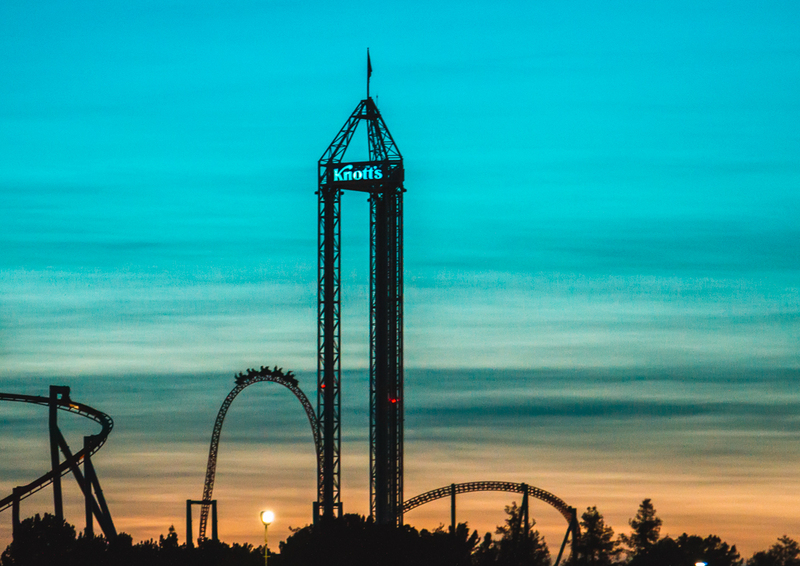 On the way out, stopped in the parking lot for a sunset shot of the coasters. from L to R: a portion of Silver Bullet, the tower of Supreme Scream, and Xcelerator behind with the ride car going over the top. 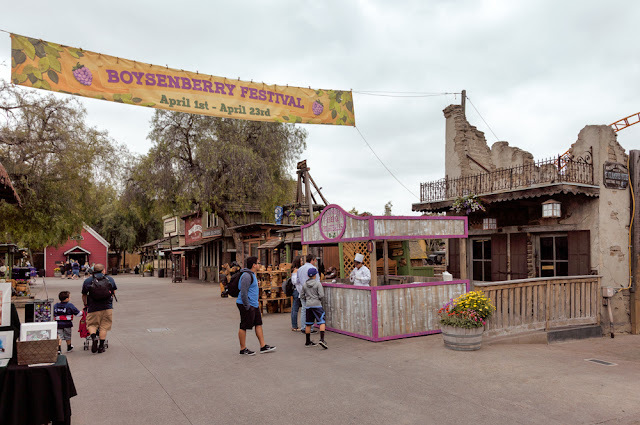 -Boysenberry Festival runs from April 1st to April 23rd. I recommend deciding whether these are things you really want. Some portions are very small. You might be happier picking what you really want and purchasing separately. That's what I did this year. First 2 years I did buy the tasting card. Krazy Kirk and the Hilbillies in the Wagon Camp Theatre. Ghost Town Miners at the Fireman's BBQ Stage. 80's Dance Party in the Cloud 9 Ballroom. Old Macdonald's Farm with Horses, sheep and goats in the Livery Stable. Fiesta with DJ Cruz at the Fiesta Plaza. 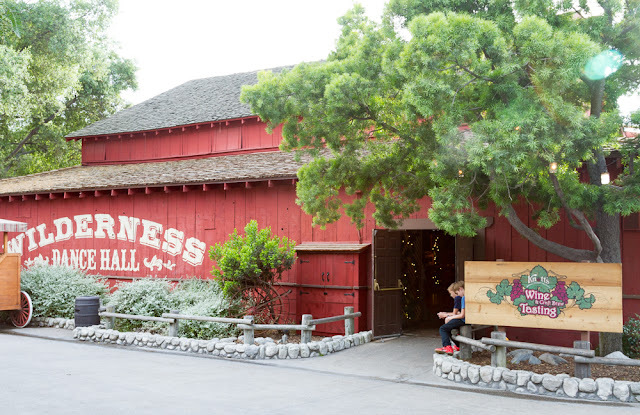 History of the Boysenberry and Knott's Berry Farm film at Calico Town Hall. Lists all the food choices and everything happening at the Boysenberry Festival. Pick up a bottle of Boysenberry BBQ sauce to take home.